In a response to a comment submitted about are we going to add creams to the archive? The answer is yes in time. The idea is to post most Dorset items and add to it to form a decent archive on what can be found in our region. 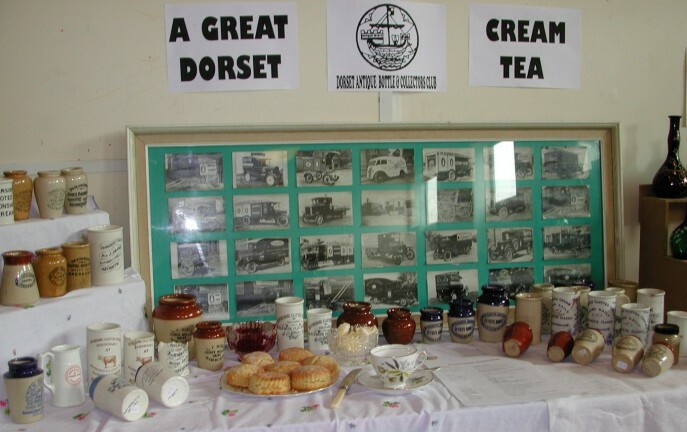 For the moment to whet your appetites a picture of a major display of Local Cream pots from many collectors in the region shown in 2003 when the Club held its show at Hamworthy liberal club. Any good images of items from our region would be gratefully received and added to the record. This entry was posted in Cream pots and tagged cream pots. Bookmark the permalink.